The Smart Studios Story is a documentary about the rise of Smart Studios, a recording studio in Madison, Wisconsin that was founded by Steve Marker and Butch Vig. I was primarily interested in seeing this documentary due to the latter name, Vig, whose best known as one of the great record producers of the 1990s, with his crowning achievement being Nirvana’s Nevermind record. I also knew of his work with the Foo Fighters in the past couple of years, as he was a regular on the Foos’ HBO series Sonic Highways. I heard about this film through the list of films playing at this year’s fest, and it really intrigued me. 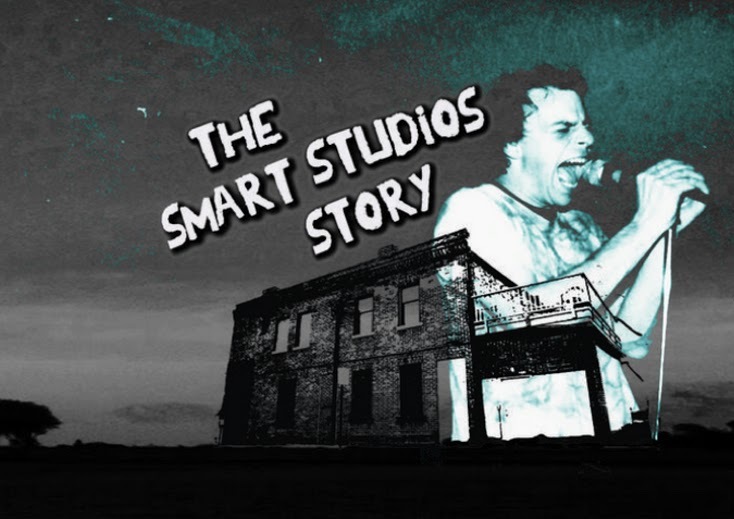 I’m happy to report that The Smart Studios Story is a fast-paced and very entertaining look into one of the pioneering places in punk rock and grunge music in the late-80s/early-90s. It begins with Vig and Marker, who are both members of the band Garage, met years ago while participating in an early Wisconsin punk rock band called the Spooners, and the two decided that they wanted to make music in the studio than as a band. They begun Smart Studios in humble office spaces in Madison, and produced bands from around the area/mid-west until they begun to make a name for themselves, with Vig one day getting the call to produce for Nirvana. The film, which was directed by Wendy Schneider, is stylistic in its presentation but also feels very personal and homemade at the same time. Schneider actually worked at Smart Studios for 20 years before it closed its doors in the early 2010s. Because of the directors involvement with this story (although she never points this out herself in the film), the story of Smart Studios feels all the more interesting and emotional in this sense. While not entirely unique in terms of documentary storytelling choices, this personal touch helps the movie from being just another documentary about a music institution from the good ‘ole days. Along with Vig and Marker, musicians like Dave Grohl, Billy Corgen, Shirley Manson and Duke Erikson from Garbage, and many more musicians from the 80s punk scene in Wisconsin and beyond. One of the pleasant surprises to this documentary was that I knew little to nothing about this story, so my respect for Vig and Marker grew even more when I learned that all they wanted to do was promote and record local acts that they really dug and enjoyed, even if they weren’t guaranteed to make much money. Vig didn’t even start making serious money until Nirvana insisted on him producing their Nevermind record (which infamous record producer David Geffen disapproved of). Once Nervermind became the massive success that it was, Smart Studios was never the same. What I would’ve liked a little bit more in the film was to go a little more into detail into how/why the studio closed. The only reasoning is that Butch and Steve started to get big due to Butch’s producing duties as well as their commitment to Garbage. The closure of Smart Studios at the end feels more like an afterthought than a really tragic demise. But then maybe that’s not the point of Smart Studios. This is not a rise and fall story. It shows how this dingy little studio helped churn out some of the best music of the late-80s and 90s, and how Vig and Marker were both able to make a name for themselves in the music world, and this place helped get them to where they’re both now. The Smart Studios Story is a really well done documentary on a staple of the midwestern punk scene, and one you should definitely watch if these types of films are up your alley. It feels a little uneven at times, and is nowhere near as good as Sound City, a similar doc about a famous recording studio that was directed by Dave Grohl a few years back, but its still definitely worth your time.